We offer four after-school classes. We are really excited to introduce two new aspect of our Encore! Programme. Sing! A rock/pop choir for Primary school students, taking place on a Monday from 4.00pm at WBS. We are lucky to have Rhian Ellis [BA Hons in Musical Theatre, a Professional Vocalist, Actor, Musician, Dancer and Entertainer] coming into school to offer vocal lessons to our students and she was really keen to get in on the Encore! action! Spaces will be limited, so please book. 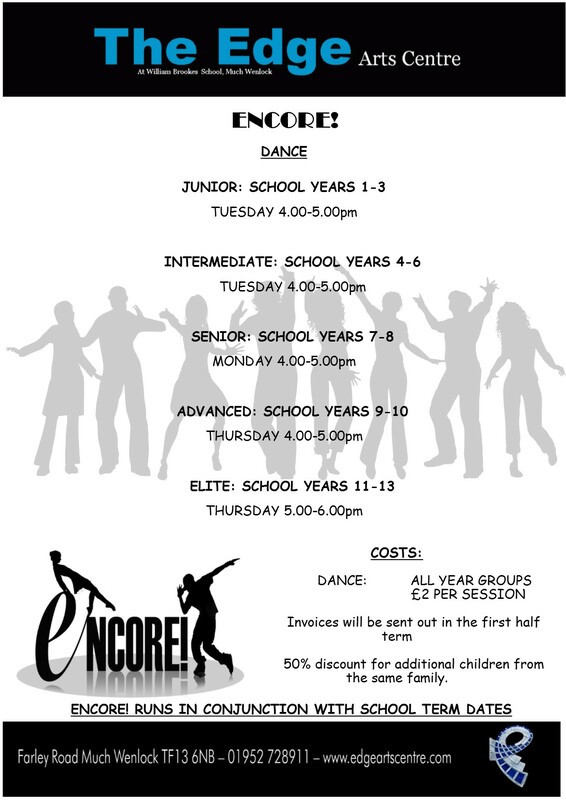 Encore costs: Junior, Intermediate, Senior & Advanced Dance classes, Sing & Voices! cost £2 per session and run inline with school term dates. Discounts are available for siblings.